India is a tropical country and you are likely to meet the heat throughout the year in most parts of the country. Dirt, grim, pollution, sweat, sunburn and exhaustion become inevitable in the summer for us Indians. But if you are a tourist to India and do not come from one of the tropical countries then it is essential that you know about the weather and place you are travelling to. The summer in India approaches around May 20 to July 20 where the temperatures are extremely hot that can go up to 40 degree centigrade while 45-50 degrees in some parts of Central India. 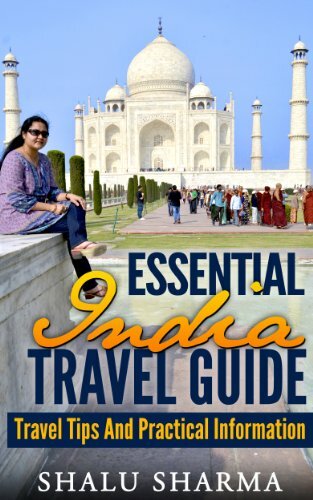 Nonetheless, you can still have great fun under the sun and find some cool ways of having fun in India while beating the heat with some of these handy tips when visiting India in the summer. Water sports and amusement parks in metro cities and other major cities offer loads of fun along with adventure and at the same time allows you to sooth your sweat glands. Wonderla near Bangalore, Essel world and water kingdom near Mumbai which together form the Asia’s largest amusement park, the Ocean Park yet another sought after water park near Hyderabad and Fun and Food Village in Gurgaon (near Delhi) are some of the water parks in India that meet the international standards and allow you to soak yourself in the water. This is a perfect way to beat the heat while having fun and adventure. Fruits, coconut, special Indian summer drinks and soothing foods are what you need to replace your high calorie and fatty foods to stay cool and enjoy your travel in India. Green tea is a good option which also is a great source of antioxidants. Water intake should be over 8 glasses. Due to excessive sweating water, salts and mineral lose is high hence a glass of lemonade made of lemon extract, sugar and salt would be helpful to replenish vital substances required for active life during hot days. “Ragi” a drink rich in iron and calcium makes a very enriching drink to beat the heat in the India summer. This drink made with ground ragi and buttermilk is a popular drink for many Indians. Another popular drink is the “lassi” and is a life saver for many Indians during the summer. Try to eat high water content raw salad over cooked meals. Eating a lot of cucumbers and lettuce is a good idea when eating out. If you’re not used to eating street food then its best avoided. Butter milk and “shrikhand” are other great refreshing Indian summer drinks that you must give them a try. Always carry bottled with you. Sun tanning and rashes due to harsh sun rays is a common in Delhi and Rajasthan. If you are not from a topical country then barring the heat in some of the hottest places in India becomes even more difficult. Apply some sun cream lotion to protect yourself from the sun. Make sure that the SPF is at least 30. In addition to modern spas, you will also get a chance to treat yourself with the traditional Ayurvedic massages typically the cooling mud baths and packs, shirodhara, herbal spa etc which are known for its soothing sensations to beat the heat while also helping to remove skin toxins. Beware of sunstrokes in the summer, wear loose fitting cotton clothes, and cover your head preferably with cotton scarf or cap to prevent direct exposure of your head to sun. Light colour clothes work even better and reflect away the sun rays keeping you cool. Nice, aerating shoes should be the preferred footwear to avoid sweat and grime developing into fungus or athlete’s foot. I wear flip flops or leather sandals in the summer. A pair of sunglasses will do wonders to keep that glaring heat away from eyes. You can also wear a cap to prevent the sun getting to your face. It is best time of the year to enjoy your stay in India by choosing to hide in the hill stations of the country. Help yourself to get the glimpse of the beauty of the hills while keeping away from heat of the plains. The hill stations of India are splendid getaways. Manali – It was also known as summer capital by the British. Manali is situated at an altitude of 2,050 metres in the valleys of River Beas in the state of Himachal Pradesh. Gulmarg Hill Station – It is also known as the “Meadow of Flowers” situated in the Baramula district of Jammu and Kashmir. Its scenic beauty with the lush green slopes, flowers of different colours and the valleys come together to create an illusion of a dreamland. Leh in Ladakh – Leh is the capital of Ladakh and is the centre of Tibetan-Buddhist culture. Ladakh is also favourite destination for adventurous people. Some of the places to visit in Ladakh include Khardung La, Pangong Tso, Nubra Valley and Zanskar. Srinagar – Srinagar is the summer capital of Jammu and Kashmir. It is set around the beautiful Dal Lake, where houseboats (or shikharas), carry tourists on boat rides around the lake. Munnar, Ooty and Kodikanal are popular hill stations situated in South India. These places provide great summer vacations ideal for summer getaways both natives and tourists alike. India has some great summer getaways. Even if you do visit India in the summer, all you need to do is to keep yourself cool. India is cool place. been there many times. I love it out specially trekking. When I lived in Byndoor, this information would have been extremely helpful as I nearly died of heat there. I love my Bangalore which has such a pleasant weather, more so now as I live near open forest. Farida, Bangalore is a very hot place in the summer, what do you do to keep cool in the summer? Shalu,you haven’t mentioned Kashmir? or the Himalayas? Or are they not considered as part of India? Thanks for the valuable information. Jene, Kashmir is mentioned if you read the article, you’ll notice it. Going to water parks with friends in summer is really enjoying and visiting cool places too. Here in Afghanistan the season isn’t too heat, but when I was in Karachi, It was a big problem there. Ehsan, India gets very hot but there certain things you can do to keep yourself cool. These amusement parks are great fun. @Michael, they are good fun. Good that I was reminded about water intake. Often forget it when I am outdoors. Ladakh is lovely. Closer to Delhi one can also go to Nainital and Mukteshwar. South is enchanting as well. Sabyyashchi, thank you. I agree completely. India is a perfect place to go this summer. The place are very beautiful. I know there is a lot of tourist spots that would people surely love. Very valid point highlighted by you….. specially for foreign Tourists…..If they visit India during Summer then they have to be very careful while selecting visiting place and Food specially. I would Suggest keep water bottle every time with you…..avoid street food as they are not as higene during Summer season. Have onion Salad in Lunch and Dinner to reduce hot air effect. keep your hands and face covered to avoid any sun burn and any other alergy. Very good tips by you Sandeep. Thank you for your input. I am not aware of Wonderla, Essel World and Water Kingdom. Great to know these attractions during summertime in India! Sure would love to try that buttermilk and shrikhand you recommend. Great photo of Dal Lake Srinagar. 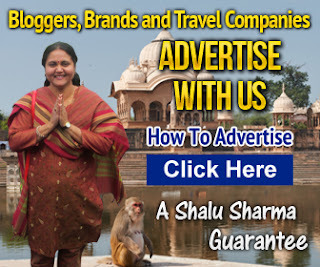 Thanks for the share, Shalu! these are some very idyllic images. I wish I could visit India during any time of the year, especially for some good chicken curry. I also live in a tropical country, and nothing is really more refreshing than having some fresh coconut water on a hot summer’s day. Summer in Indian Subcontinent is terrible. Your article gives a good brief for Indian & other local people. In summer, mostly I wear white dress, carry a bottle of drinking water. Indian is awesome place. been there many periods. I really like it out exclusively hiking. India summer tends to take a toll on foreign tourists. But in whichever city you are there would some or the other alternative to beat the heat like(lakes/ water parks/ hill-stations etc). So i would like to say India is a good place around the year! India is a very interesting place to travel to. It is rich in culture and it has various tourist spots that can really take one’s breath away. I would really love to come back and visit this mystical country in the future. I am an Indian and i really proud of myself.there are so many places which i like most specially in summer because there are so many cold places such as Srinagar.and Kashmir is one of the most favorite place of India which is known as Jannat of India.. really nice blogs nice tips..
Summer is the best time to be in India… life is a lot slower and there is less rush! And then there is the cooling effect of the monsoon, which is just amazing. I would not live anywhere else! you can have great fun under the sun and find some cool ways of having fun in India while beating the heat when visiting India in the summer. Check out a list of famous Hill Stations located in different areas of the India. Know more information on top Hill Stations in India. Here you can find all hill stations of India like hill stations in Kerala, hill stations near hyderabad, hill stations in himachal, hill station in shimla, etc. A cooling mud bath sounds absolutely incredible! It sounds like there are a lot of activities that can help keep you cooled off. However, I feel like green tea isn’t the best idea but maybe that’s just me. I’ve intention to visit India. Have seen many Indian tourisms places in an documentary and since than I’m excited to make a long tour in India. I think short tour in India will not give enough satisfaction to traveller’s. 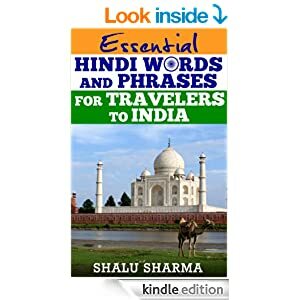 Within India there are so many places to see and I’m eager to experience most of those places in my journey throughout India. Thanks for the handy tips though. Wow! India is really a wonderful country, Must visit is. And Thanks for sharing the great tips. Great info, really useful seeing as I’m going to be visiting in the near future! Thanks! Shallu you really shared good tips about Manali Himachal Pardesh thank you for sharing this with everyone. Once again thanks for your valuable information. Waiting for more article. Keep working.. These are the Best places to visit in Summer. But you to check rooms available before going to any of these places. I like indian cricket and also visiting famous place in these days. Thanks for informative post. 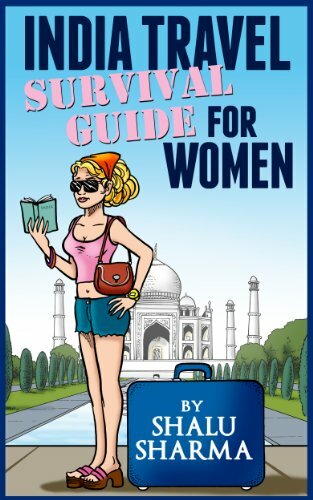 Useful tips you have provided while roaming in India or we can use these while roaming at any other palace. Like more intake of liquid and we should carry water with us. we should carry umbrella at the time of sun rays so that we can protect our self from heat. But while travelling….we should take care of the most important things like keys of our home because this thing happened with me. Well awesome tips shared by you which we should take care while travelling.